I voted for the spherical display as I think it’s the most intuitive for new players. I think the directional ring should always be active but only show the currently selected object and any ‘threats’. I voted for moving it to the scoreboard. I agree with showing shield segments on a schematic in the corner. Shield status could be shown by colouring the segments rather than a percentage bar. Is that really the reason for why you chose that option? 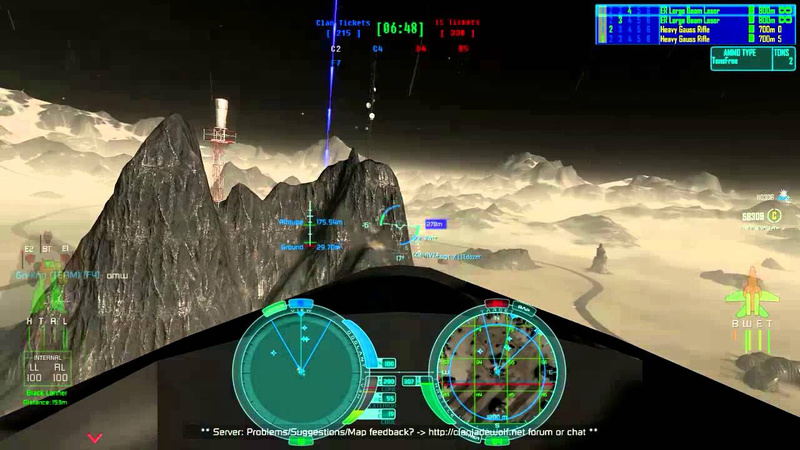 I’m alright with maybe wanting people to play in cockpits due to “guided experience” reasons but the only game that has less problem with the potential exploit you point at is where 100% of all of the game space is void and not just 99.99% like in I:B. Also, I don’t see why, in third person, it should be possible to zoom out to such extend as it is in the current Alpha version, that’s the only thing I can see merit in giving a bit of consideration to that problem. Even without any UI in 3rd Person that exploit would still be possible. If sensors really don’t go trough whatever you hide behind … you are effectively blind. Have you ever tried to play the game UI off, identifiying targets visually? One of my biggest concerns with the old HUD is the getting a feeling for my flight direction. On my machine the flight path vector indicator (and the virtual dust particles) are very hard to see in space and invisible over any other background. Even worse when the indicator is not on the screen. Could you perhaps make the vector indicator more distinct and/or add a flight direction indicator to some of the radars? Could you use the logic behind the “chase flight formation” to indicate on the HUD, when you are about to overshoot your target? Maybe color code the relative speed number, which is displayed under your target. Red for negative relative speed, green for closing speeds and blue if you are about to overshoot. Alright. After the event here are my impressions on the new HUD. I participated throughout the whole event for about 3 hours. I don’t feel like I have been able to gain much of the potential of the new radars though. Text and chat are much easier to read due to the increased size. Velocity vector … yes. Thank you so much. Secondory Circular Reticule. Seems to have helped with aiming even if the primary reticule disapears over ten layers of stuff. Still overwhelmed at the amount going on in big battles. Although new display methods of this Information helps. The movement of the “Head” inside the “Helmet” is a bit too unrestricted. When the ship is deceleration it cuts off too much of part of the HUD. Zoom In does not scale the HUD. This is maybe partially a “feature” but at least the icons and text should scale down so details of a faar away battle can be seen better and selected better, Also the whole inner ring maybe. I don’t feel like this is obvious enough. In the heat of battle and overwhelmed I wasn’t really able to do more than press “closest target”. Maybe it’s just me … maybe I need to take a second to triage better before switching targets. The “distance” on some targets was pretty much useless to me. I feel like I need more info on those targets to make a good guess but at the same time it’s hard to take it all in in a couple of seconds. These huge battles are a real challenge in that regard. Idea 1 “Obvious in Periphery”: I feel like this needs to be solved without numbers but with in your face arcade style over the top colours, sizes and animations. Symbolise distance to targets and/or relative speed with layers of rings or colours or even animation speed. If it’s too complex to represent all possible states use the “threat level” that merges distance, relative speed, last attacked and general threat based on own ship type and enemy ship type which already is in place to some extend. Idea 2 “Quick to Check Info”: Does anybody use “next/prev” target events? I think those offer themselves to be used to specifically cycle trough these prioritised targets and nothing else. This would allow me to, in combination with a target info box, quickly check these ships in only seconds. Eyes fixed on box. Quickly cycling trough list to find the best target. There still is no Target info box. When the target moves out of or just isn’t on the screen when first selected it’s too difficult to know what is targeted. At least we have its distance now, the small symbol on the ring makes it impossible to see the ship type though. Also no name and no relative velocity. Often relative velocity is much more of an indicator for the danger of a target. I really think it would be a good idea to have a fixed place where it says the name, type, distance and relative velocity for the current target, like on the left side of the inner ring there still space and it would be symmetrical with the speed info. Also, often this Information gets overplayed and cluttered even when it’s in the middle of the screen as well as … Red isn’t the best colour for such vital Information. I like how they all follow your view. The Elite Style radar was good to identify where your closest target is and what may shoot you. The X-Wing style radars were too far in my periphery to be useful in battle. Too much tunnel Vision to use them. Also partially my fault though because my eyeline on my monitor is actually a little bellow the center of the screen and I almost need to turn my eyes to their maximum to see the top left and right corner. The reduction of sizes for the ring radar didn’t really help. In combination with the now “prioritised” targets I get a coloured blob, unable to see what ship type it is and a distance … useless really. Object consolidation might help there. Weapons … I rarely need to look at those and they take up a lot of space. If one ammmo is out maybe fade it in or show a warning instead. A quick check in a menu or on an MFD would be more than enough. Maybe putting ammo info in the radial menu is sufficient. Credits … same as above. I’m ok with the team score being in the leaderboard … I would like it to pop up though from time to time. When the score changes and maybe also periodically. Make things fade out when they are not needed. Shields and energy full. Fade out for instance … maybe a bit too extreme … might be. Generally a great improvement. Especially when it comes to single target or small group combat. There’s still potential in big battles where many many targets plain dissapear from sight in many background conditions. The switch to red did not help there, in the contrary. Consolidation might help a bit still. Maybe enemies should be much more in the direction of white with outlines … maybe coloured outlines. I think War Thunder has such a mode. I will try using the Elite Style Radar more. Maybe it does give enough overview over the battlefield to not drift into swarms of fighters anymore or such shenanigans, though the hours I played now didn’t immediately made me do that. I agree with the Front/Rear radars being too far into the corners so I did a quick experiment. Moved the radars close enough to be seen but still outside the "focus ring"
Nice update, it’s definitely going in the right direction and there are some things that can be considered done, some thoughts below. Larger font is excellent, however I still don’t notice the shield/hull points or anything else except the THR/SPD/WRP, without explicitly focusing on it and making an effort. The interlace is horrific for me, it distorts the target name/distance and RVEL so much that it becomes unreadable, I even find myself fighting with reading the rest of the HUD with such bad distortion, decreasing the distance between interlace lines would make this better. Having shadows, outlines and background helps with readability, however this is offset by the interlace, it seems that it’s even harder to read target data now than what it was before the patch. The Hull/Shield/Energy/Velocity bars are so faint that they are basically unnoticeable and don’t play an active part in combat because of this, they need to be way more blunt. Radars are nice, it’s an overkill though, there is no need for 4 radars, the front one can easily be removed if the ship displayed the information in front of it clearly. I couldn’t see a single square outline of NPC enemy ships and had to either look at where allied ships were shooting or use the Elite radar, it’s way too faint. Velocity indicator circle gets lost frequently, it’s so faint or moves off-screen without any indication, having a target like indicator for velocity on the direction radar would be nice. FPS variance is too large, you can change the view by 20deg and experience a 30% FPS drop. Projecting the HUD onto the helmet is wonderful, you could maybe add some detail that would make it a bit more obvious, some imperfections or effects. Nice patch, it’s definitely going in the right direction, except for the interlacing, if there is one point that you take away from this post, I hope that you do something about interlacing. I think a list of the 4-10 (or so) nearest targets with the distances would be really helpful to understand what is around you. I for myself like that big battles feels overhelming. But I also would like to have more small battles. I would like to try with much less AI bot. Wouldn’t it be more natural to have both front/back radars grouped on the same side of the HUD (I have not tested this build yet)? By interlacing I assume you mean the “holographic” shader effect ? I can easily make it more subtle, in fact that’s how it was in my original implementation. Do other people agree ? The “koala face” is the reason I moved the front / back radars to the corners In my original implementation they were indeed at this place, much closer to the center. We can try it out. Or maybe somebody will have a better idea. Removing the front radar might be dangerous though, as it’s still a full hemisphere ( it might be showing targets that are on your sides, but still more in front than in back ). Basically, the iner circle is probably what you’re seeing on screen, but the area between the iner circle and the edge is all around your screen. One thing I didn’t mention, but I changed the HUD mode to automatic, instead of starting in exploration. I now feel it was a mistake. 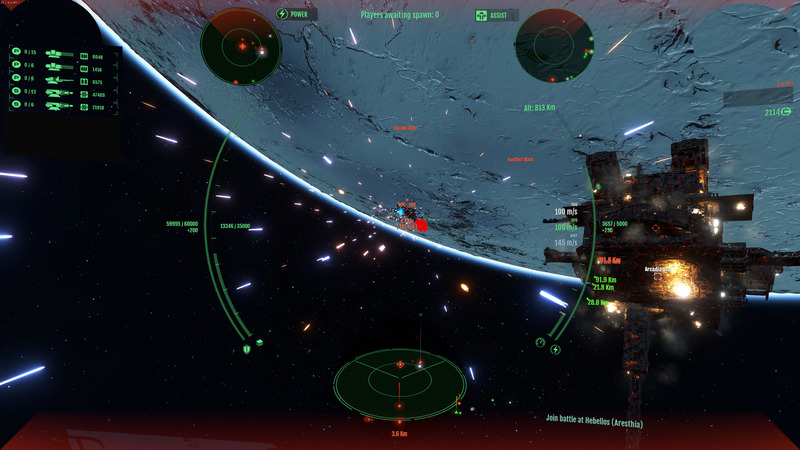 The main difference between exploration and combat mode is the removal of long-distance targets. But often when you spawn at a station, there’s a small battle going on ( with a few random NPCs around you ) so you’re always in combat mode, unable to see in the distance where other players are. So I’m considering removing this “auto” mode and consolidating “exploration”. I know for a fact Dan always plays in exploration mode, even in combat. Is there anybody else that like to use combat mode actively, to avoid HUD cluttering ? I think “scan lines” is the right word.I agree that the effect should be toned down and maybe the density of the lines increased. Or some other cool futuristic effect rather than something anachronistic. The font alone is Anachronistic enough. Putting the Hemispherer radars at the bottom maybe. Side by side the Elite Style radar? Automatic Mode is ok. It should be more obvious that it switched though, maybe a slight colour change … and combat mode is taking away stuff you need in combat, that’s the problem. It’s ok to remove targets but only ones >1Mm or even >10Mm distance. The reason big battles are hectic is that too much is going on and you are easily killed from all sides. And the thing you said, about it activating with just one NPC arround. Well a condition that looks at your own weapons fire maybe … although new players might fire their guns for testing and switch to combat mode, unable to see faar away targets. Target consolidation will make this all less of an issue. But maybe this all isn’t worth it and the whole automatic thing should be removed to reduce complexity and rather have a HUD that works in all situations. FWIW the face thing doesn’t really bother me, and I only compared it to a face as a conceptual idea of readability - ie. all within range to see without moving your eyes much. Me too! I would like Exploration mode tidied up, as I find Combat mode suffers from lack-of-situational-awareness-itis, so I almost exclusively use Exp… Or no HUD for screenshots! 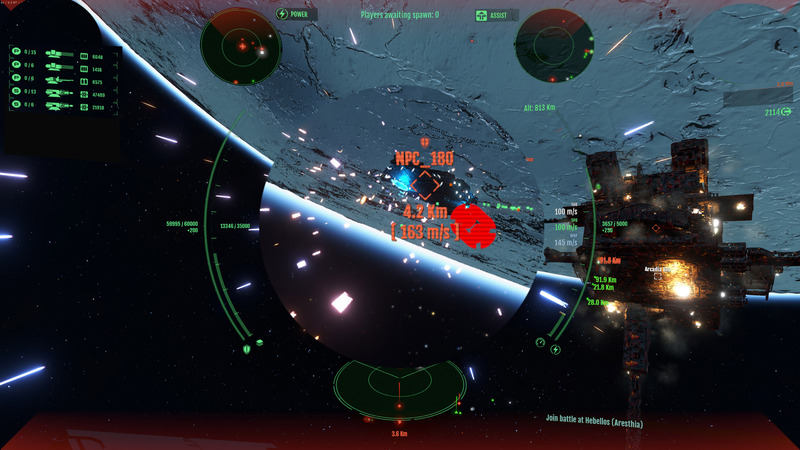 Overall i like the curved HUD esthetic and style. Lot more spacial awareness. Although i thought i would.Have to admit i rarely used front back radars. Possibly due to other choices that were closer. That doesn’t mean it would not be useful, it is i guess a habit thing. If bottom one would be disabled i would most likely used em more. On occasion it felt like the bottom one was overly large and obstructing the view. Missile avoidance warning is pretty great. But i made me realize how small amount of countermeasures there is available. Scan-lines on letters they make em hard to read. Perhaps more glow when changed like someone suggested already. I checked and no i rarely looked at it only when firing missiles. Missile depletion could be just accompanied with audible notification. Almost forgot: Inty cockpit texture is pretty damn cool. The radar is great found much easier to find and target. Only use the lower middle one…never even look at the upper ones. Like the curve as well. Love the scan lines. Makes it feel like a computer HUD , not an excel font. Would like to target only enemies in my class(maybe hold ‘T’ to select target anyway? )…not fun to roll up on something above my pay grade/firepower. VERY nice not to have the team score in my face. Edit: Oh and It would be cool if: On the radar, the missile(s) icon flashed on and off, maybe faster as they near your location? I glance down to locate one…but the color difference doesn’t help much. I really like the central spherical radar, it makes it incredibly easy to tell what’s happening in my surroundings. The only suggestion i can think of is maybe highlight friendly corvettes when low/out of ammo or heavily damaged? It’s too good already. The scan lines are indeed a bit too heavy, and it’d be nice to brighten some of the greens in the hud. New inty cockpit is very pretty. I always fly in exploration mode as well. Combat mode feels like putting blinders on. if combat mode is what exploration mode is now, and then exploration mode had some kind of 3d overlay/starmap overlay specifically designed for navigating the system, then i could see myself using both modes. destroyers and corvettes are very different kinds of ships and it’d be nice to get distinction between them in particular. Maybe, corvette gets a dotted line and destroyer gets a solid line? could apply the same to the other ships, the bigger class ship getting a solid instead of dotted line. Target info box doesnt have to be HP or something, just name, distance, velocity. Everyone loves those little rotating ship pictures we had in the ICP and other games too, its nice to know how an enemy is rotated, but don’t know how hard adding that is. a way to figure out whether the station you have selected has the facilities to spawn whatever ship you have selected! it’s very annoying to think a station has a facility, spawn, and end up halfway across the planetary system in the ship you paid for. not just starmap, but a general way to show the player to the current mission objective. Like, if the player is behind a planet or something, some sort of highlighted mission box would first point the player into orbit, then around the planet before pointing to the next planet where the mission objective is highlighted. Targetting icons for station components, turrets, pads, reactors etc. would be very useful for both friendly and enemy stations just to show players where things are. There are still a few station and base shapes i just haven’t explored yet and so i have no idea where many of the vital things are on them, and having to spend time just flying around looking in combat feels silly. Finding the the pads when you need to can be hard enough, but for the unfamiliar it’s a 3d maze, and newbies will have trouble just moving around let alone finding whats what! Something else i noticed is that the launch countermeasure/chaff button is pretty unreliable. I don’t know if its just because its on alt or what, but i need to hit it twice sometimes. Lots of good feedback everybody ! Keep it coming. I’m taking notes and will include many of these in the next HUD iteration. Agreed, I’ve noticed that a couple times myself. But this will become obsolete/redundant when we have the proper star map + spawn menu which is why I haven’t bothered fixing it up yet. Yeah it’s been like that forever. I believe there’s a conflict related to the left-alt key since it’s used by Windows for alt-tabbing. Overall, I need to move some functionality related to weapons to a better choice of keys. 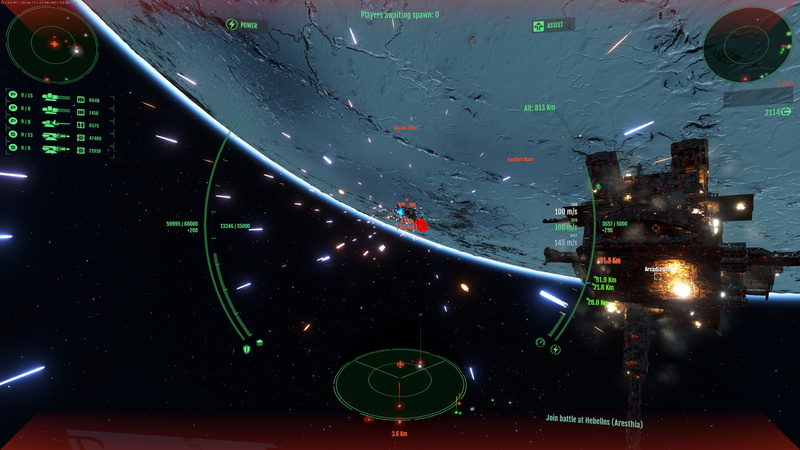 Locking, zooming, chaffs, missiles… need to be properly adjusted. This is actually coming next, along with the new capital ships control scheme. The solution can’t be to move functions to other keys/avoid the alt key. I’ve never had an issue with the alt key in any other game.